eBay announced that they are now serving as many as eight million pages using Google accelerated mobile project. This is the first time that a major non news site has deployed AMP and could be a sign of things to come. Sometime in February, AMP went live for the news stories carousel on mobile. Now the only way to be shown in the carousel is to have AMP generated pages available. Google looks to be promoting AMP in more and more categories and shopping and retail likely next judging by eBays move. 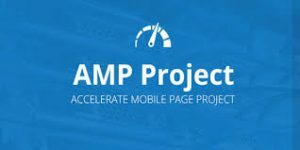 We can expect to see many more major retailers creating AMP pages in the near future.